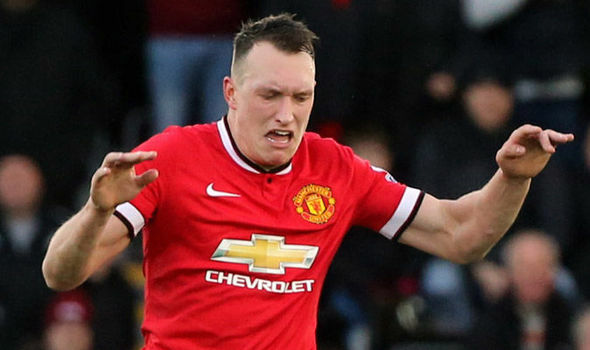 For much of Phil Jones career, he has been somewhat derided for his mediocre performances in Manchester United that culminated in many losses for the club. A model defender that was tagged the new Rio Ferdinand while breaking out at Blackburn Rovers, he was signed by Sir Alex Ferguson to help bolster the ranks in 2011 as the United manager knew that club legends, Nemanja Vidic and Rio Ferdinand were coming to the end of their careers and needed someone to learn from them and take over from the central defensive pair. Now into his seventh year at Old Trafford, he is starting to show his quality under the management of Jose Mourinho. Jones is a player that thrives under the love of his manager, as was the case of Sir Alex but under Moyes and LVG, he was calamitous and was close to being sold by then club managers who could not defend his average performances. However under Jose Mourinho, he has looked a player reborn, finally overcoming his injury hells and winning over his manager with his application, dedication and willingness to fight for the team until the end, traits the former Chelsea handler appreciates in his defenders. The England international is one of the first players on the teamsheet and is ahead of the likes of Rojo, Smalling, Blind and Victor Lindelof in the central defensive pecking order and is benefiting from the management of his coach. Jose Mourinho is a manager who prides himself on having teams with strong defences throughout his career. From Porto to Chelsea (both spells), Real Madrid and Inter Milan, he has won countless trophies with his pragmatic style, and tough as nails approach. Jones has improved his defensive positioning, movement, anticipation and focus, and he is a guaranteed starter for England at next year’s World Cup in Russia. United are looking to win to the league after five years, and United have made a blistering start to the beginning of the new campaign with three wins on the trot. United are looking good for the title and Jones is a formidable part of the team. For a player that was labelled as a poor player and now playing week-in, week-out for the biggest team in England, it is a far cry from the one that was doomed before he reached his peak. Pls Mr author Jones has never been an average player it was injuries hindering his progress.